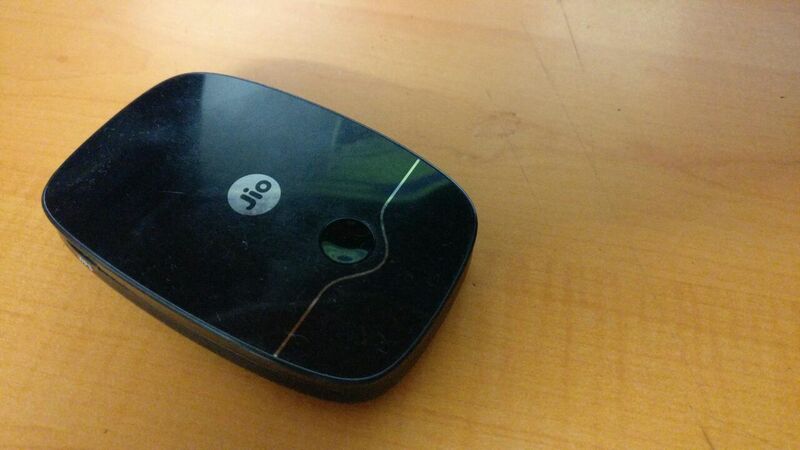 Hi friends, today I am giving you a complete review of the JioFi portable Hotspot device. 3 Days back, I gifted this WiFi device to my younger brother as a Diwali gift. So, after 3 days, I am here to give you a complete review of this device. This device will let you do many things which you can't do on your smartphones. Lets read some details about it. JioFi is a portable broadband device through which you can create a WiFi hotspot to use internet on many devices. JioFi device is available at all Reliance Digital stores and Dx Mini Stores. External Interfaces: Micro - USB port, Mini - SIM card interface, Micro - SD card interface. 4GB ROM and 2GB RAM; Mlcro-USB port; Micro-SIM card interface. JioFi is a 4G pocket WiFi router which lets you share internet service to a maximum of 32 devices. However, it is recommended to connect a maximum of 10 devices at a time. Having a JioFi means your WiFi is always with you, so, you can access internet, watch videos anytime and anywhere. JioFi is eligible for the Reliance Jio Welcome Offer. It means You can access 4G internet, Free Voice Calls and Free SMS without paying a single rupee till 31st December. Those who are using 2G and 3G mobile phones can access fast 4G internet using JioFi WiFi. It means with JioFi device, every phone is 4G. By downloading JioJoin android app you can do free HD voice calls and SMS to anyone without a 4g VoLte phone. JioFi is now available at 1999 Rs which is very very low for a portable WiFi device. On the other hand, if you check other portable WiFi devices, the prices are above 3k Rs. So, it is cheaper than other devices too. A bigger 2300Mah battery is enough for giving 8 to 10 Hours backup. Charging is fast and can take about 2.5 hours for a full charge. No Heating issue till now. A 32Gb SD card support to let you store more media files. High Speed 4G internet for all. Lowest price for 1Gb 4G in telecom industry, i.e. 25 Rs Per Gb. On an average, we are getting 40 to 65 Mbps speed in Delhi/NCR. This is truly a super fast 4G speed. With a signal percentage of 15% our speed drops to 33 Mbps. While upload speed is very great and was constant. I am getting 15Mbps to 16 Mbps upload speed every-time. Internet speed among 4 devices having 1 Laptop and 3 smartphones is very good. This is because of better bandwidth management of this device. Guys, you know many of us was creating hotspots on our smartphones to provide internet to other friends or family members. The only problem we were having was heating issue. Our phones are not created to share hotspot for hours. Also sharing hotspot makes your phone hotter and there are chances of internal damage to some parts of our phones. While on the other hand, JioFi is a portable WiFi hotspot device which is created just to share internet. So far, i didn't find any heating issue and 3 days are enough to find out that a device is heating up or not. The charger is an average one having an output power closer to 1 ampere. To charge this device completely, it took 2 hours and 15 minutes. This JioFi device comes with a 2300mah battery which is giving me 8 to 10 hours backup while using 2 to 4 devices continuously. I will update battery quality after 30 days. Till now I don't have any issue with battery backup. JioFi is a powerful portable WiFi hotspot device currently available at lowest market price of 1999Rs. This Device comes with a Jio welcome offer which makes this device free(assuming as 10Gb * 200 Rs= 2000 Rs). If you are a student then you can avail 25% extra data with this device. The cost of 1Gb data on JioFi is as low as 25 Rs. for heavy users. In my opinion JioFi is a perfect replacement of your old WiFi Router which is always fixed in one place. With JioFi use Internet Anywhere without paying extra charges.